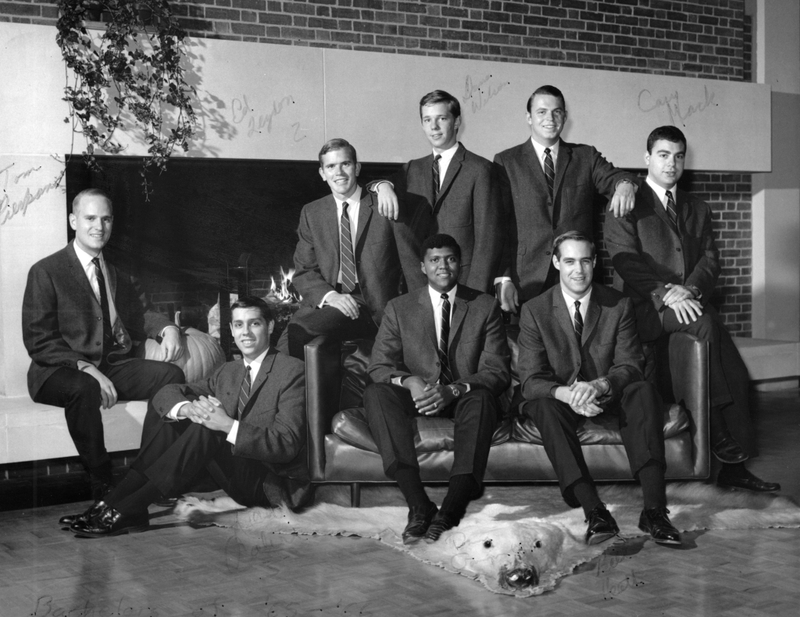 Group portrait of the members of the Bachelors. Left to right: Thomas Pierpoint, Richard Calini, Edward Leydon, David Wilson, unknown (possibly T. Davis or S. Whitehurst), Cary Mack. Seated on couch: unknown (possibly Davis or Whitehurst), William Heath.